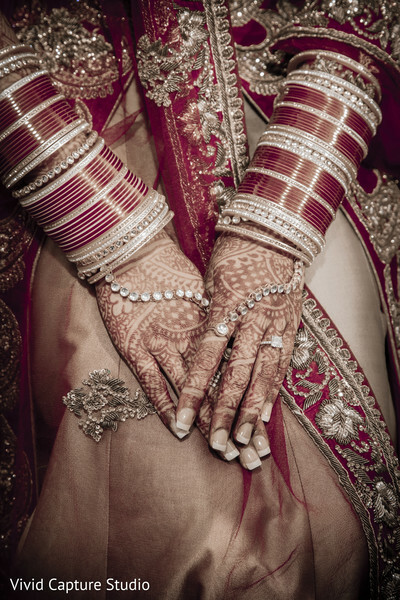 Today, we’re very excited to feature Ritu and Timothy’s wedding celebrations. 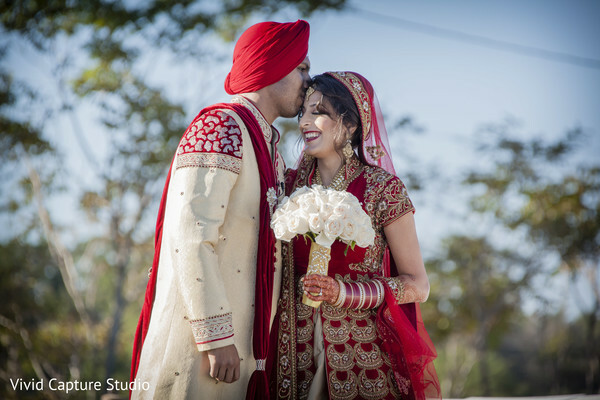 These lovebirds are both talented finance professionals who met in a New York bar in 2012. The rest is history! 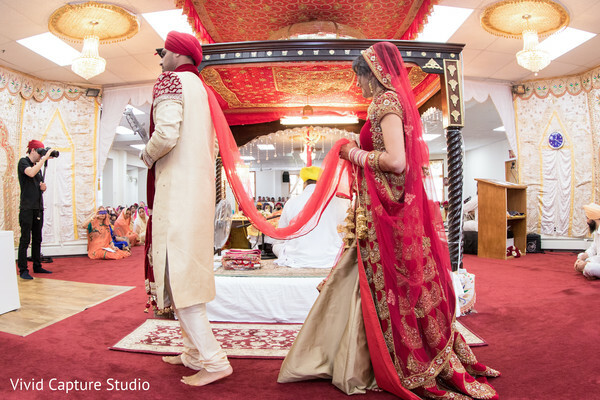 After viewing the couple’s wedding photos, we were pleased to note this couple is just as skilled planning an incredible wedding celebration (with some help from Seema Sahani from R And S Events) as they are analyzing numbers. 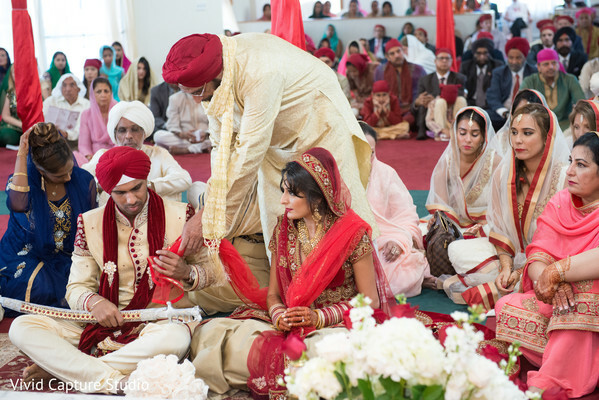 The festivities kicked off with a joyous sangeet at the Chateau Briand, followed by a beautiful Sikh ceremony at the Glen Cove Gurudwara. 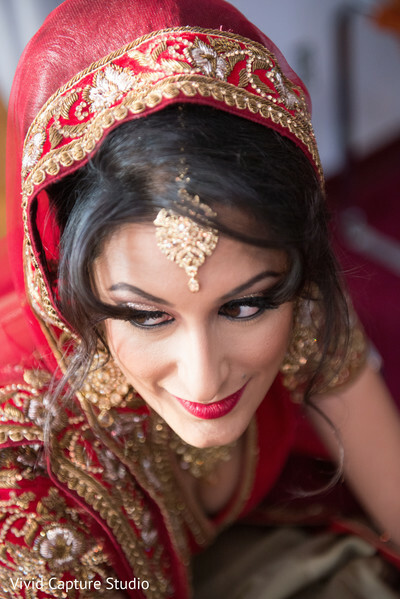 Ritu was a truly stunning bride in a fashion forward red lehenga and bombshell hair and makeup by Kanwal Batool. 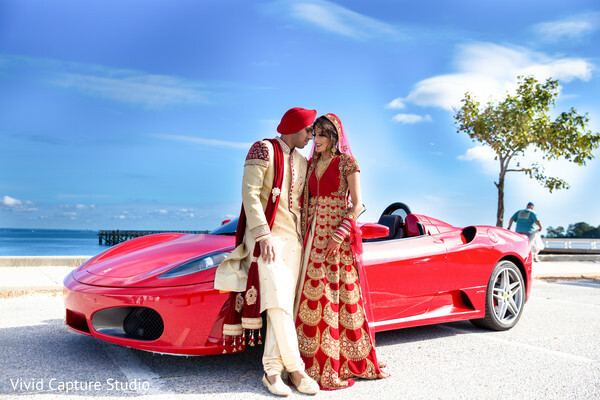 After the ceremony, the newlyweds took some time to bask in each other’s company while posing for some of the most stunning wedding portraits we’ve ever seen. 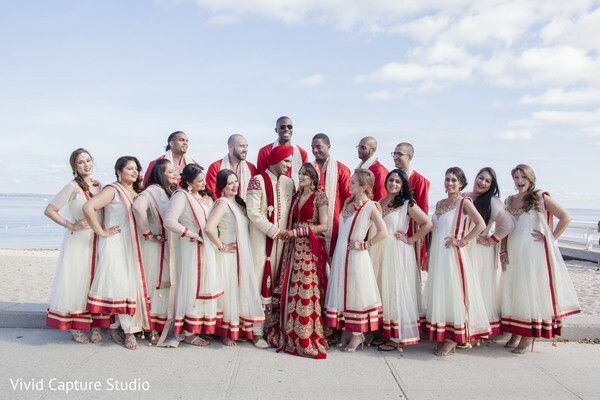 Vivid Capture Studio took some magical images of the glowing newlyweds with the sky serving as a stunning backdrop. 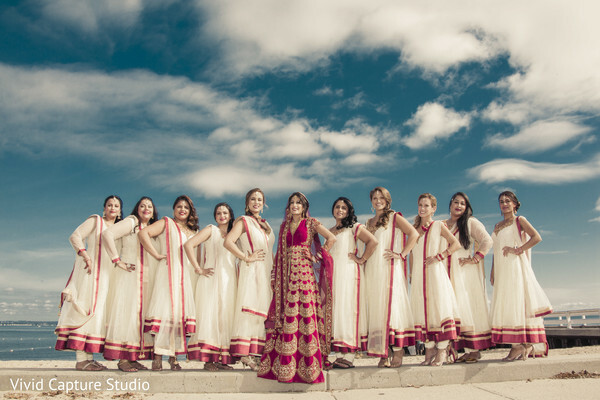 We know you’ll love the jaw dropping pics of the couple and their wedding party by Vivid Capture Studio, so hurry over to the complete gallery to enjoy all the beauty! 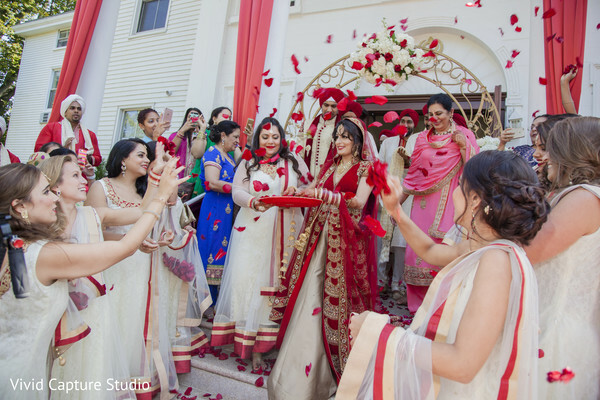 Hurry back for our coverage of Ritu and Timothy’s reception, featuring the most marvelous floral and decor by Stylish Events!